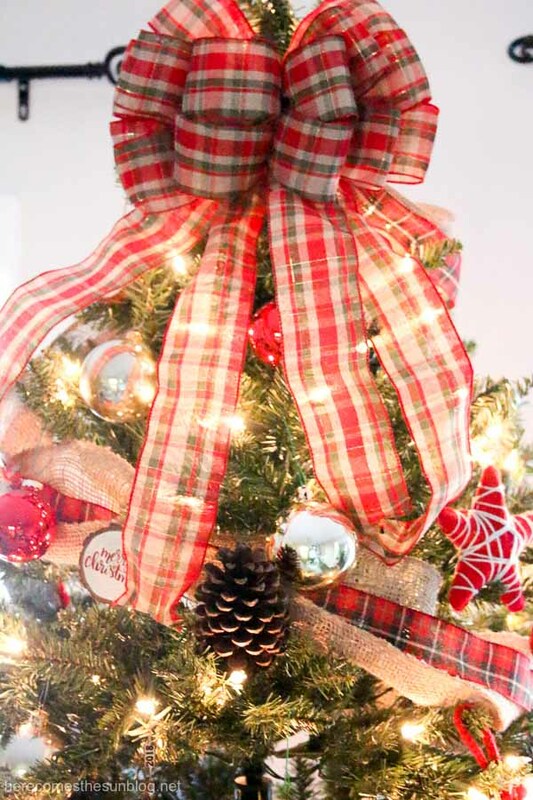 A rustic Christmas tree is easy to pull together. 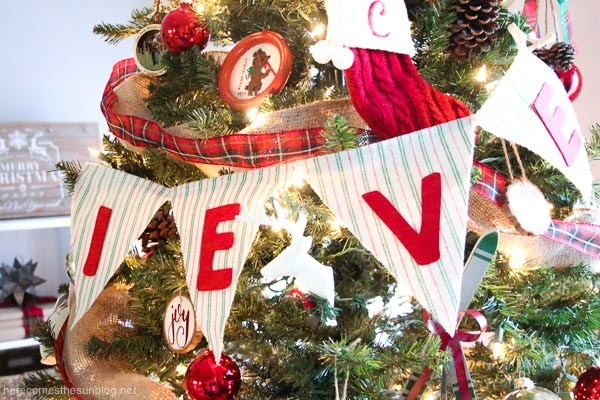 From the ornaments to the garland to the topper… this tutorial will show you how. Every year I look forward to coming up with a theme for our Christmas tree. This year we decided on a rustic/woodland theme. You can interpret the term rustic in many different ways but we decided that we wanted a tree that looked like it could be in a lodge. I did not have to purchase too many new ornaments for this tree. I got a few at the dollar store and a few more at Michaels during Black Friday sales. 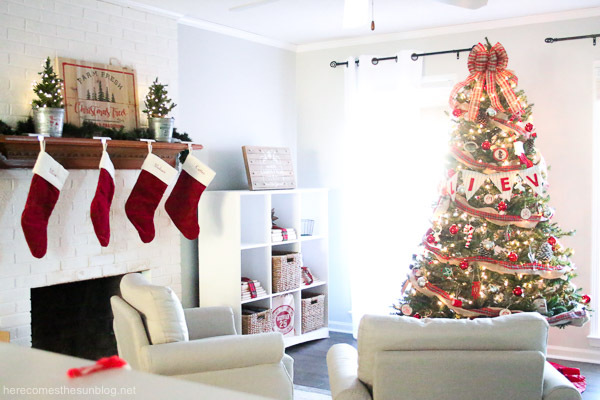 When I look for ornaments, I like to find a few that are big so they fill up a lot of space. I fell in love with these skis the minute I saw them. They literally just jumped right into my cart. There are a few sleds on the tree. A few that I bought new and a few that are very old from when I was in elementary school. 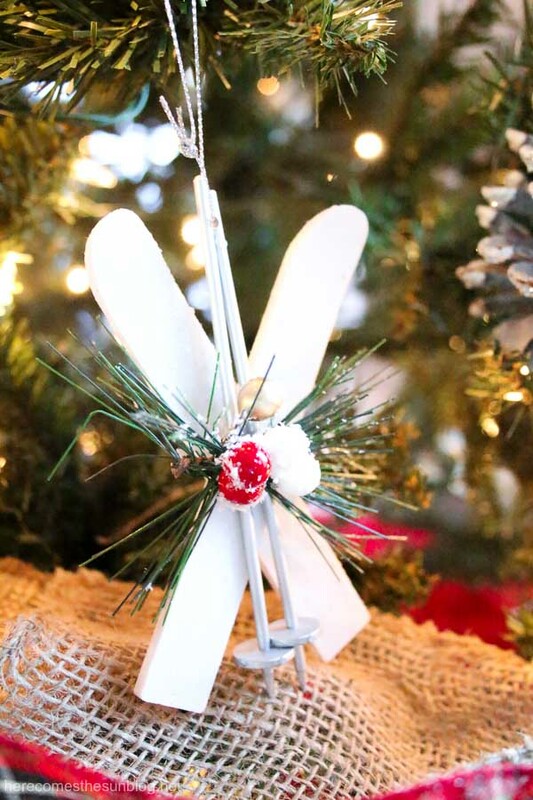 You can’t have a rustic tree without a sled. These felt stars jumped into my cart along with the skis. 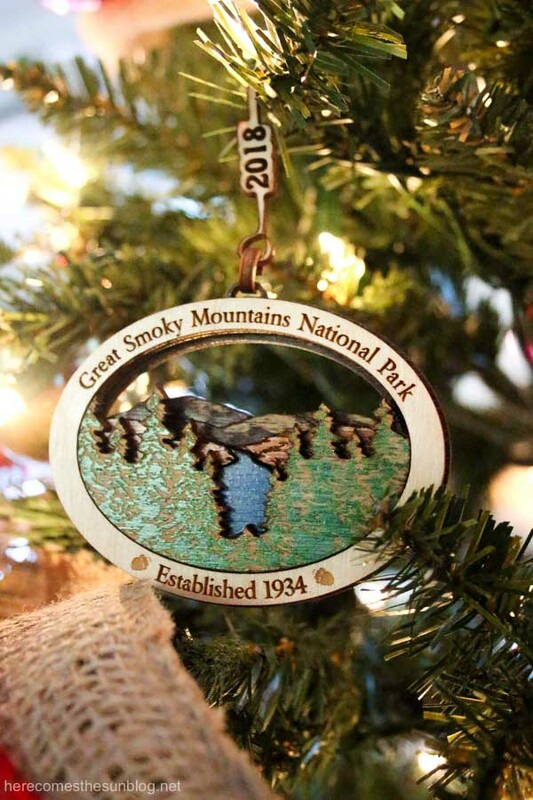 Each year we buy a family ornament. We got this one on our summer vacation to Great Smoky Mountain National Park. 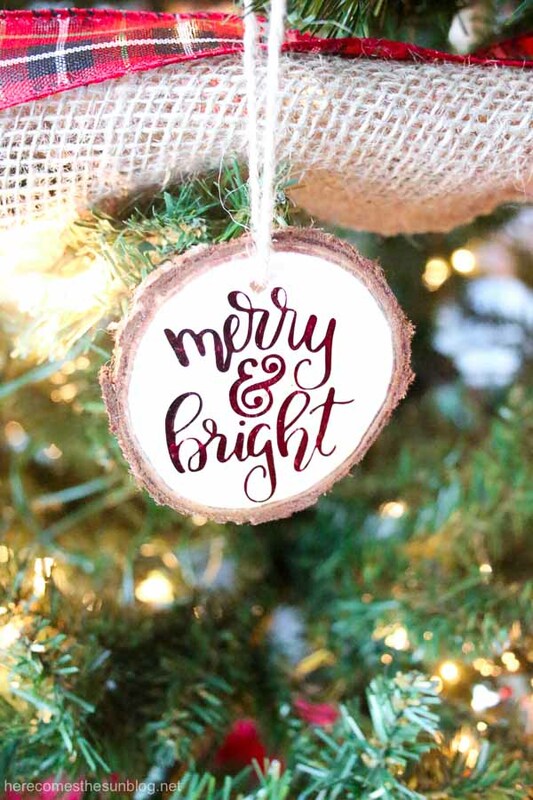 It’s the perfect fit for a rustic Christmas tree. Deer heads are a must. 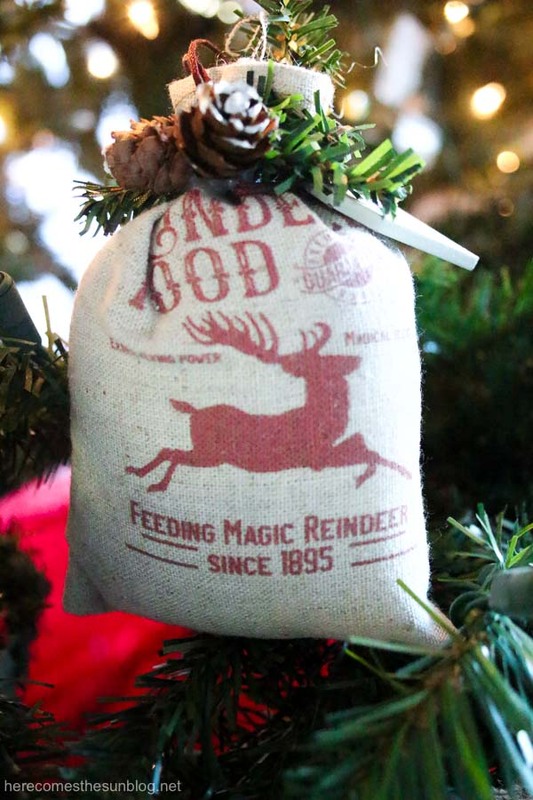 I found these cute little sacks of reindeer food and knew they had to come home with me. 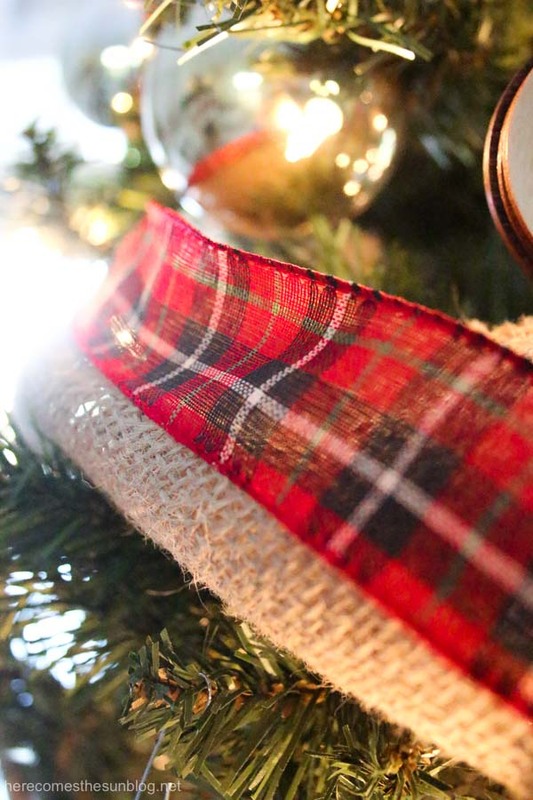 For the garland, I used burlap and then layered plaid ribbon on top of it. 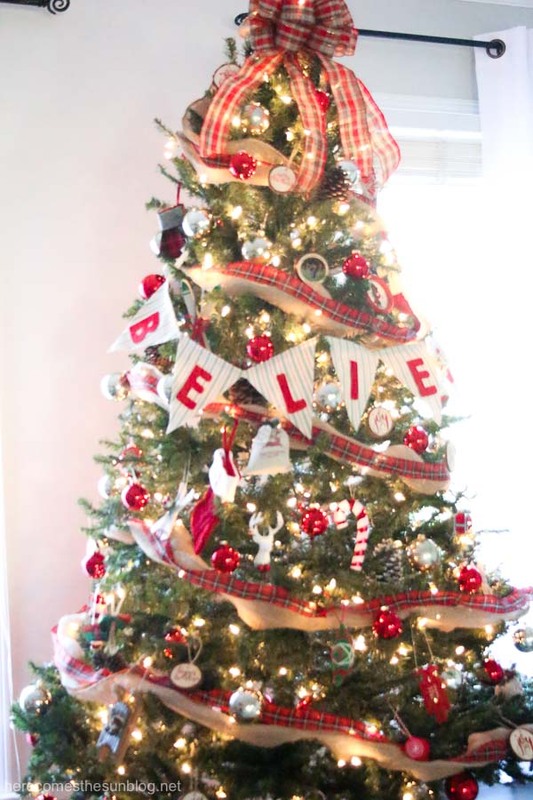 I feel it looks best to drape the garland around the tree diagonally starting from the top and going down. I used a bow for a topper that matched the ribbon. This bow was a great find. Ive tried so many tree toppers and none of them have worked. Most of them are too heavy and just topple over when I try to stick them on the top. With the bow, all I had to do was use the twist tie that came with it to attach it to the top branch. 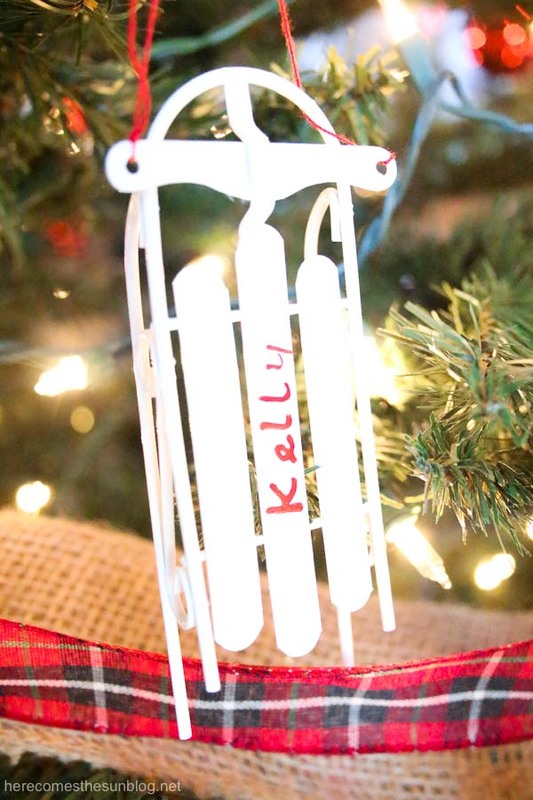 Viola…instant tree topper. For balls, I chose red and gold. 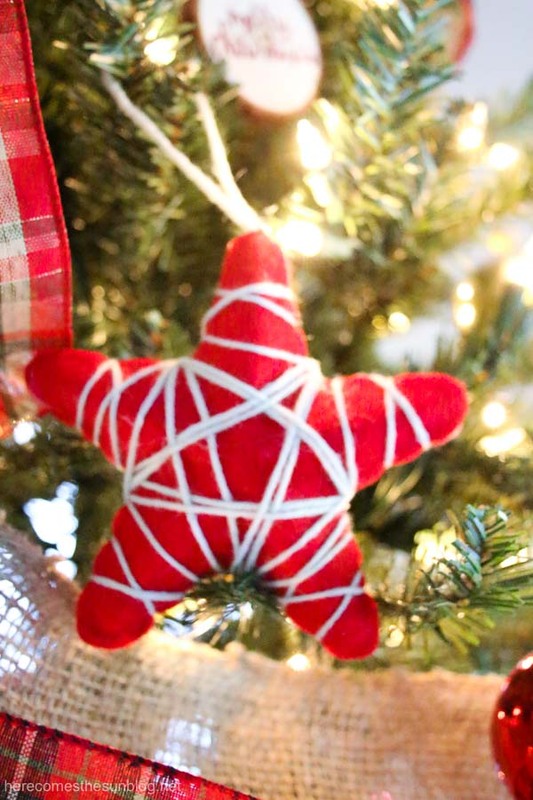 You could also add in green but since a lot of the other ornaments were red, I stuck with red and gold. 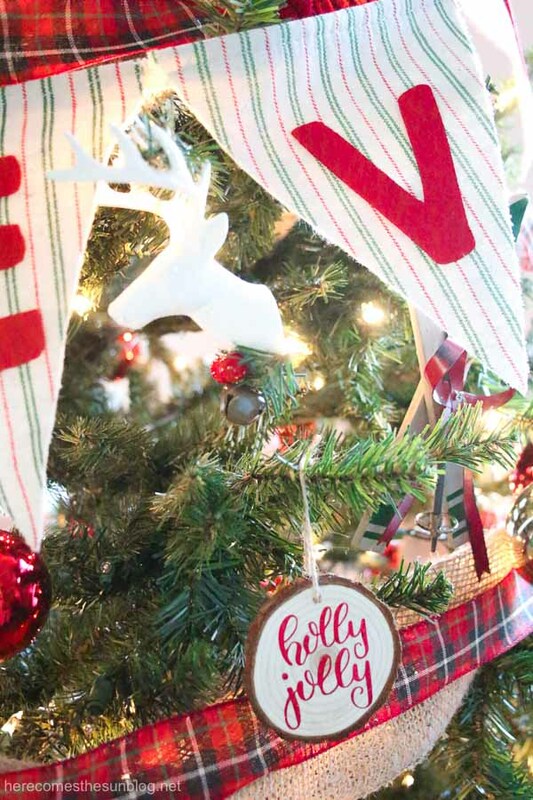 One of my favorite additions to our ornament collection this year are the wood slice ornaments that I made. I love the way the red reflects the light. 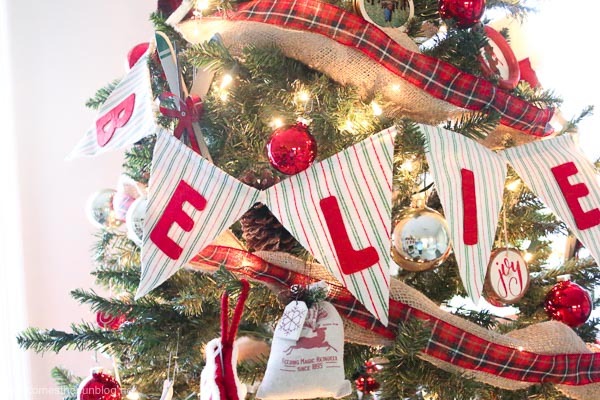 Other ornaments that I included were pinecones, stockings, felt candy ornaments and any wooden Christmas decorations. The last thing that I added was this BELIEVE banner. I was going to hang it elsewhere but then remembered how much I love banners that are hung on trees. So up it went. I think it really finished off the rustic Christmas decor look. 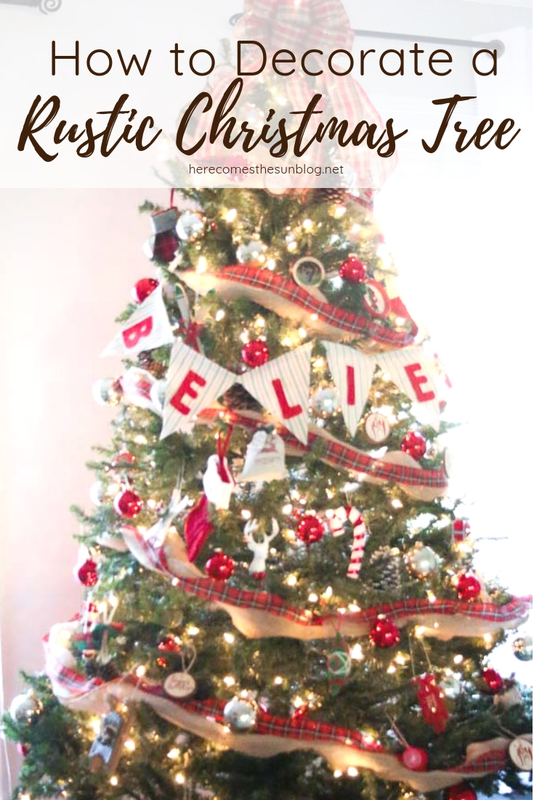 I’m excited to celebrate our rustic Christmas this year!